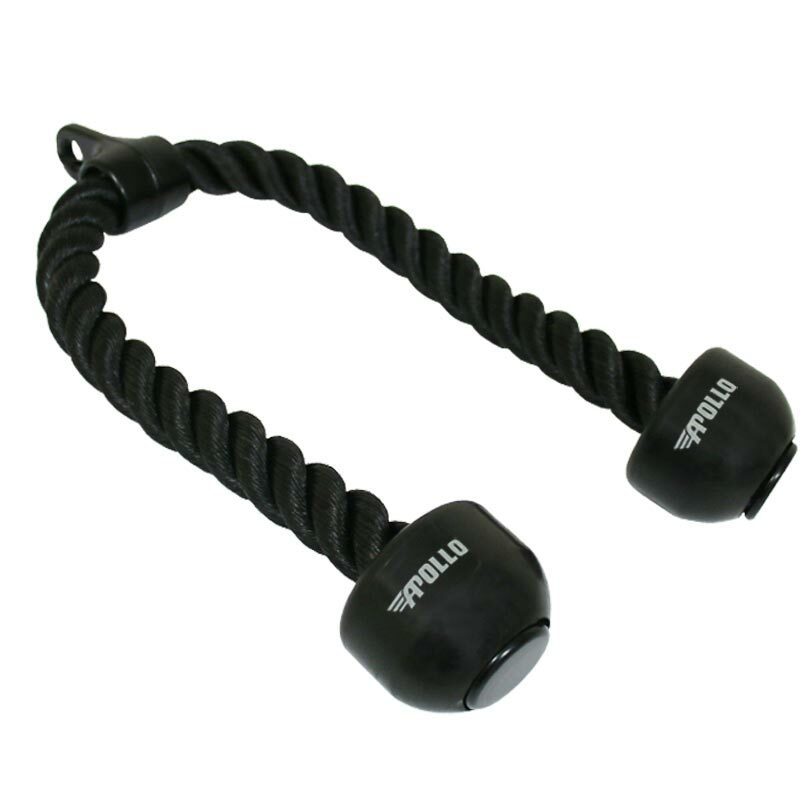 The Apollo Tricep Rope designed for use with any standard cable machine, this rope is crafted from thick, synthetic fibers with easy-to-grab plastic knobs at the end and a metal loop at the top. Total Length - 70cm (28"). Rope Length - 60cm (24"). Rope Thickness - 2.5cm (1.1"). Synthetic rope with metal band and loop. For use with standard cable machines. Great for multiple tricep motions. Please note - Carabiner is not included.